Heads up! The next issue of Crossborder is coming soon. If there’s a story you really love, please let us know and we will contact the author for an interview. You can subscribe here. Millard’s will was simple enough. The house and assets would be sold, the investments liquidated, the proceeds placed in trust in three equal shares, thus neatly avoiding estate taxes and any disagreement about who got what. There was only one additional provision. The beneficiaries would each receive one personal bequest, an object to be placed prominently in each of their homes. For the next twenty years, until the trust dissolved and the capital was distributed, the monthly income would be paid only when the trustees had certified by a personal and unannounced inspection that the object was where it was supposed to be and neither altered nor disguised in any way. The bulbs on the marquee illuminated the crowd pressed close to the door, but the line ran into the half darkness down the street. Orpheum. A word exotic to the boys. They’d been to the movies before, in Bend, to the Bijoux, which their mother—it seemed a long time ago—had told them meant jewels in French. Fielding had wondered about that, jewels? That was when they had already entered the shadow of their mother’s illness. She had told them a movie house was like a jewelry box, she thought, they kept the pretty things inside. The sparkling movies. Colors almost unbelievable. Simple stories. Happy endings, she’d said, and smiled her wan smile. And the boys had nodded. Already that seemed like a long time ago. Make shadows for me Jack. That’s what I always called Jack’s drawings when I was a kid. With his eyes squinting into black slits of concentration and a wafting of his gnarled gray fingers gone straight, his hand would make its graceful pass over tables, walls, great pads of paper I eventually bought him, the surface growing gradually darker than its natural shade, darker until I could see the shapes he made. Just a wave of his hand. That’s all it took. He was good, Jack. He liked to add a kind of Deco flourish to limbs and fingers and the ends of hair twined with an imaginary breeze. And Jack was drawing his self-portrait across the cracked concrete alley behind the strip mall where I was looking for boxes, the dark spindled sketch of his question-mark figure hanging like a shadow from my heels, when a woman burst through an emergency exit. Like birds scattering off a lawn at the first hint of a doorknob twist, Jack was gone. Just like that. Mr. Eblis, a first year defence attorney in the country of Islamistan, sat in his office in the old part of Muhammadiya District and wondered if his solo practice was doomed to fail. Most people avoided criminal law like it was heresy. The trials were complicated and messy, and took an eternity. He had wanted a high status job. Government. Academia. Morality. Anything that kept him out of court. He had hoped that upon the completion of his twelve year program he would be installed as a lecturer at Jurist’s Inn or invited to become an analyst at the Guardian Council. The scene in which the protagonists (soon-to-be lovers) meet: You’ll know from experience or fantasy what they say to each other, how their gestures convey a tangible longing, how, when they kiss, the world brightens, as if in a nuclear flash. I was meeting him again after a twenty-year lapse, and I figured he would be reluctant or self-conscious, my father. Time, distance, between us; and yes, it would be his poverty, his house being a ramshackle place with a nondescript living room, and the doors being boards simply tacked together and the roof zinc sheets piled one on top of the other. He’d been ailing too, arthritis wracking his bones, the relatives had said. The girl and her mother sit at the small kitchen table, eating their cereal. On TV, the weatherman stands in front of his colorful map. He has gray hair and a red bow tie and is the same weatherman who visited the girl’s class and explained about Ls and Hs. How Ls meant lousy weather and Hs meant happy weather—For the most part, he said. She and the rest of the class were impressed since he was from the larger city where the shopping mall and movie theatre and hospitals were, and they saw him every night on TV, but there he was shaking hands with Mrs. Lindsey and standing in front of their chalkboard. It was almost as good as the shopping mall Santa making a special visit, but since none of them believed in Santa anymore, the weatherman would do. I sit back and enjoy the crunchy skin of the pig my father and uncles have roasted using smoking coals. We’re sitting in a driveway in the Bronx, but the smell of a fire pit and the rattle of dominoes screams of an island lost in their memories. My son sits at my feet with his New York Yankees hat and British character inspired toy trains which were made in China. I don’t give my son a piece because he distrusts anything new. Every morning, my husband and I grab our briefcases and our stainless steel coffee thermoses. We kiss each other on the cheek and then we kiss the dog on the cheek and then we pull the front door closed behind us and let the screen door give a happy slap. Every morning, I set my stainless steel coffee thermos on the roof of my car and my husband sets his stainless steel coffee thermos on the roof of his car and then we open driver-side doors. And right before ducking into the airtight spaces of our separate, efficient automobiles, every morning, we both see Harold waving at us from across the street, his other hand holding a slack hose above the brown-pocked grass. Like usual, there’s no water coming out of the hose, and, like usual, my husband and I both wave back. Each year, the Association of Writers & Writing Program hosts its annual Bookfair, where writers and readers come together to celebrate publishers, teachers, and students of literature and writing. Over 12,000 participated in the 2013 conference, dubbing it the largest gathering of writers and readers in North America. The AWP will host its conference from February 28 to March 1 at the Washington State Convention Center & Sheraton Seattle Hotel. 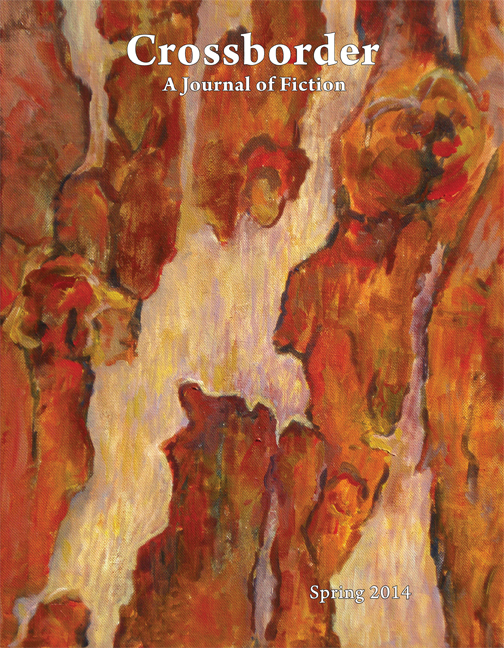 A lot of excellent literary journals will be on exhibition, including Witness Magazine, edited by David Armstrong (author of the upcoming book Going Anywhere), along with Green Mountains Review and its editor Jacob White (author of Being Dead in South Carolina). For those interested in contests, AWP has many opportunities for writers to submit work, including the AWP Award Series, the George Garrett Award, the Small Press Publisher Award, the Intro Journals Project, the WC&C Scholarship Competition, and the National Program Directors’ Prize. Though the preregistration deadline for the conference has passed, onsite registration will begin February 26. Mark Brazaitis chosen as finalist judge for the 2014 Leapfrog Fiction Contest. Mark Brazaitis is the author of five books of fiction: The River of Lost Voices: Stories from Guatemala, winner of the 1998 Iowa Short Fiction Award; Steal My Heart, winner of the 2001 Maria Thomas Fiction Award; An American Affair: Stories, winner of the 2008 George Garrett Fiction Prize; The Incurables: Stories, winner of the 2012 Richard Sullivan Prize; and Julia & Rodrigo, winner of the 2012 Gival Press Novel Award. His book of poems, The Other Language, won the 2008 ABZ Poetry Prize. He is also a recipient of a National Endowment for the Arts fellowship. His short stories, poems, and essays have appeared in many literary journals, and his journalism in The Washington Post, the Detroit Free Press, the Richmond Times-Dispatch, American Medical News, the Charleston Gazette, Glamour, and elsewhere. He is the screenwriter of the Cine Golden Eagle Award-winning Peace Corps video How Far Are You Willing to Go to Make a Difference? His writing has been featured on the Diane Rehm Show as well as on public radio in several cities. Brazaitis is a professor of English at West Virginia University and director of the West Virginia Writers’ Workshop, the fundraising committee chair of the Appalachian Prison Book Project, and the advisor to the WVU Figure Skating Club. All unpublished stories in story collections submitted to the contest will be considered for Crossborder.